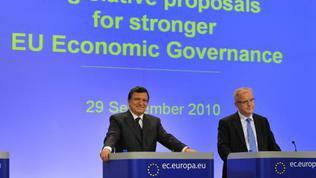 The European Commission adopted a legislative package to strengthen the economic governance of the Union. These are the biggest changes since the creation of the Economic and Monetary Union. The aim is to make surveillance of budgetary and macroeconomic policies more effective, and structural reforms as well, in order Member States to be forced to implement their budgetary objectives. 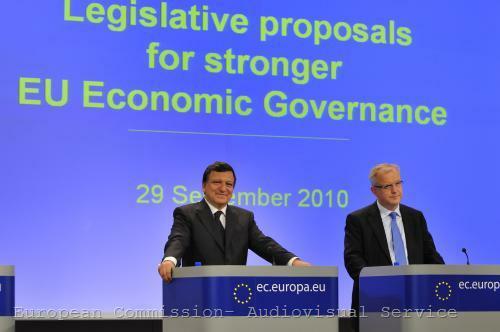 "For the first time we address decisively the preventive arm of the Stability and Growth Pact; for the first time we propose that sanctions must be implemented much earlier in the process; for the first time we propose a structured system to deal with macroeconomic imbalances“, Commission President José Manuel Barroso summarised the new aspects. The six new proposals extend and specify the Commission's ideas presented on 12 May and 30 June this year. Four proposals deal with fiscal issues, including a wide-ranging reform of the Stability and Growth Pact (SGP), while two new regulations are aimed at detecting and addressing effectively emerging macroeconomic imbalances within the EU and the euro area. A "special regime" is introduced for the euro area, by offering more rigorous surveillance and financial sanctions for countries that do not comply with the new rules. 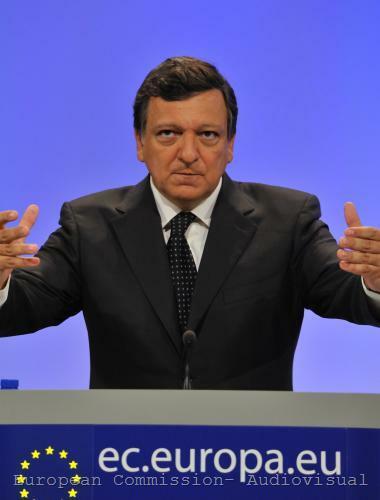 The reason for this approach, Barroso said, is to address some of the roots of the recent sovereign debt crisis in the euro area. With regard to SGP's preventive arm, the proposed reform aims Member States to be forced to lead a prudent fiscal policy and not put public finances at risk. This means that annual expenditure growth should not exceed a prudent medium-term growth rate of GDP. Failure to meet this requirement will lead to a warning from the Commission and if the violation is repeated – from the Council. The news, however, is for the euro area countries, where for the first time the warning is backed by financial sanctions in the form of interest-bearing deposit of 0.2% of GDP. Another important novelty is that this penalty will enter into force automatically unless explicitly rejected by the Council by qualified majority. The so-called "reverse voting mechanism", which is being applied for the first time, gives substantial powers to the European Commission and significantly reduces the influence of the Council, where Member States participate. 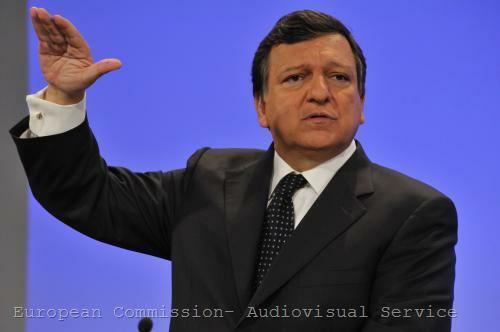 As Commission President Jose Manuel Barroso explained, " In the past, when the Commission's advice was harsh, it was not sufficiently followed by the Council. The changes I have outlined will avoid this from happening again." which continues to be a major correction tool, is focused on debt. Except from watching for their budget deficits, Member States must ensure that their debt not only does not exceed the limit of 60% of GDP, but also is diminishing at a satisfactory pace (if its distance with respect to the 60% of GDP reference has been reduced over the previous three years at a rate of the order of one-twentieth per year). Even when there is a deviation from this benchmark, however, the Excessive Deficit Procedure will not be applied automatically, as this decision would need to take into account additional factors such as whether very low nominal growth is hampering debt reduction, together with risk factors linked to the debt structure, private sector indebtedness and implicit liabilities related to ageing. These factors will be important also when assessing entry into the Excessive Deficit Procedure, if a country fails to fulfill the deficit criterion (3% of GDP), but its debt is below the limit of 60%. ”The more flexible approach put forward with respect to considering the relevant factors in the steps of determining the existence of an excessive deficit could also benefit countries undertaking systemic pension reforms, beyond the currently foreseen five-year transitory period”, the proposal reads. As you know, 9 EU members, including Bulgaria, requested the costs of pension reforms to be excluded from the budget deficit. The Commission's response states that the net costs of systemic pension reforms will be taken into account when assessing the criteria for both the deficit and the debt. In terms of the Excessive Deficit Procedure, financial sanctions are provided for the euro zone countries - a non-interest-bearing deposit amounting to 0.2% of GDP would apply upon a decision to place a country in excessive deficit, which would be converted into a fine in the event of non-compliance with the initial recommendation to correct the deficit. In this case again, it will be done automatically by a decision of the Commission, unless specifically rejected by the Council by qualified majority. The size of the non-interest-bearing deposit or the fine could only be reduced or cancelled by the Council unanimously or based on a specific proposal from the Commission on grounds of exceptional economic circumstances or following a reasoned request by the Member State concerned. The Commission will issue a separate document with the full description of indicators, their respective values and their associated underlying methodologies. Indicators can be both external and internal - for example, real effective exchange rate or the indebtedness of public and private sectors. The Commission will regularly publish the results of the scoreboards and will attach a report about any potentially conflicting signals. Based on this information, the Commission will compile a list of Member States deemed at risk of imbalances. Within the Eurogroup and the Council, Member States will have the opportunity to discuss this issues, then the Commission will provide in-depth reviews for each country. All early warnings or recommendations from the European Systemic Risk Board will be taken into account, along with the policy intentions of the Member State under review, as reflected in its Stability and Convergence Programme and National Reform Programme. As a result of this thorough analysis, and depending on the degree of existing risk, the Commission may recommend to the Council to come up with preventive recommendations to Member States or to declare the existence of excessive imbalances. In this case Member States are obliged to take corrective actions within a specified period. The Commission warns that countries will be under increasing peer pressure, including by making the recommendations public. As a result of the recommendations, the Member State concerned must submit a corrective action plan, which should be adopted by the Council. Its performance must be reported regularly to the Commission, which will assess progress. Given the fact, that there is a long way between the implementation of measures and their practical effect, the Excessive Imbalance Procedure will not enter into force immediately and the Member States will have time to correct imbalances. However, if the Commission decides that the Member State concerned had not taken the recommended corrective action, it will propose to the Council the start of the procedure. For Member States outside the euro area that means only further recommendations with a shorter deadline. 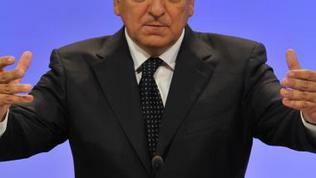 For the eurozone, however, it can lead to immediate financial sanctions in the form of an annual fine of 0.1% of GDP. This will happen if countries repeatedly do not comply with the recommendations or do not provide a corrective action plan. In this case the "reverse voting mechanism" is also being applied and a maximum fine will be levied by the Commission unless the Council rejects the proposal by qualified majority or decide unanimously to reduce the fine. “Council decisions concerning such fines will be made only by the members representing Member States whose currency is the euro. The vote of the member of the Council representing the Member State concerned by the decisions will not be taken into account.” The Commission may waive the penalty if the country concerned proves exceptional economic circumstances. Fines collected will be distributed among Member States whose currency is the euro and which are not involved in an Excessive Imbalance Procedure, nor in an Excessive Deficit Procedure, in proportion to their share of the total GNI of the eligible Member States. The proposals, somewhat surprisingly, do not mention the possibility of freezing of EU funds to be used as sanctions for non-euro countries, as it was already announced. However, the Commission plans to come up with a separate document on this issue by the end of the year. This is vital because, while the focus is on the euro area, the problems in other countries may arise with serious speed. 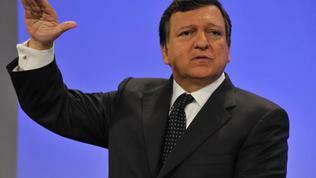 It is necessary also because, as President Barroso said, there is no “free deficit”, as there is no free lunch. "Debt has to be reimbursed, and the money you use to reimburse debt is money you can't use to finance education, health care, pensions, to give just some examples. A huge public debt diverts public spending from where it is really needed. So the measures we are proposing today are not about the Commission lecturing Member States. They are about avoiding a situation in which Member States have to punish their citizens. These proposals may not be popular with all Member States. But the Commission's job is to make sure citizens are not paying taxes today for little or no return tomorrow."